Standing on Bay Street in Toronto or beside Niagara Falls, you can feel the source of Canada's power and hear the hectic rush that creates it. When all the excitement gets too much, there's always a Muskoka chair by a lake that needs someone to sit in it. Want the best view of Toronto? CN Tower’s EdgeWalk takes you high above the city for views that can only be had at the world’s highest full circle hands-free walk, some 356m (1168 ft) above the ground. Beautiful Ontario has something for everyone. 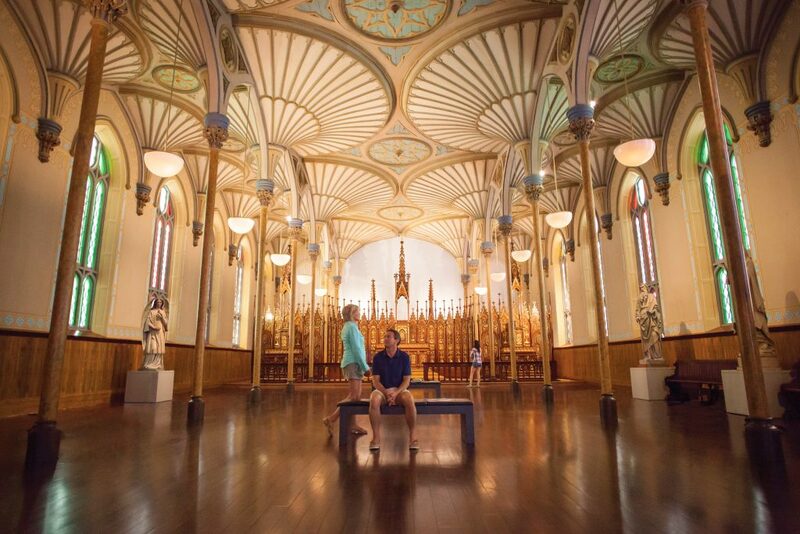 From the historic capital of Ottawa to the modern metropolis of Toronto, to awe-inspiring Niagara Falls and picturesque ‘cottage country’, we love the variety of adventures this huge province offers. To know what a city eats is to know what makes its heart beat. We know the all best bites in the neighbourhood and the iconic treats that need to be on your must-eat list, like the famous Peameal Bacon Sandwich from Carousel Bakery at the historic St. Lawrence Market. Hockey is Canada’s national sport and there’s no better place than Toronto’s Hockey Hall of Fame to immerse yourself in this national obsession. Get up close to the action and take in a hockey game while you’re here, and we’ll help you get the best seats in the house! From Caribana, North America's largest street festival to the acclaimed Toronto International Film Fest, people from all over the world flock to this festival city for year-round events and entertainment. Canadians love this world-class city for its cosmopolitan vibe and multicultural hospitality, and we know you will too. An exciting blend of artsy, trendy neighbourhoods for shopping, diverse neighbourhoods with incredible international restaurants, NHL and NBA games for sports fans, and acres of parks, beaches and greenways — Toronto has it all! There are so many ways to experience Niagara Falls — by foot, boat, helicopter, even by Aero Car! We’ll help you choose the right tour for you, whether you want to stay high and dry or get a little wet. Though many people know the Niagara area for the famous waterfalls that straddle the Canada-US border, it is also a region rich in history and culinary culture. Let us introduce you to the many vineyards, breweries, cheesemakers, artisans and farmers that make this area so much more than the Falls. In the winter the Rideau Canal is transformed into the world’s largest naturally frozen skating rink. When the ice melts, explore the 202 kilometre waterway by canoe or on a leisurely boat cruise. Ottawa is home to hundreds of galleries and museums, including The Canadian Museum of Nature, the Canadian Museum of History, The Canadian War Museum and the National Gallery. Canada’s capital perfectly blends history with the urban conveniences of a modern core. A serene, walkable city with a great food scene, there’s year-round outdoor activities and an internationally acclaimed collection of galleries and museums to explore.